X-Ray technology that is housed at Stanford University and the United States Department of Energy lab that is housed there has been able to rediscover historical Greek medical text that was on a piece of parchment. The Stanford Synchrotron Radiation Lightsource, or SSRL for short, is the device that has been used in a project that got off the ground and started just several days ago. Photo Description: Researchers begin to prepare a page for examination from the palimpsest. Scientists from all over the world have voiced their strong pleasure in being able to use the SSRL (Stanford Synchrotron Radiation Lightsource) and the things that they have been able to uncover. 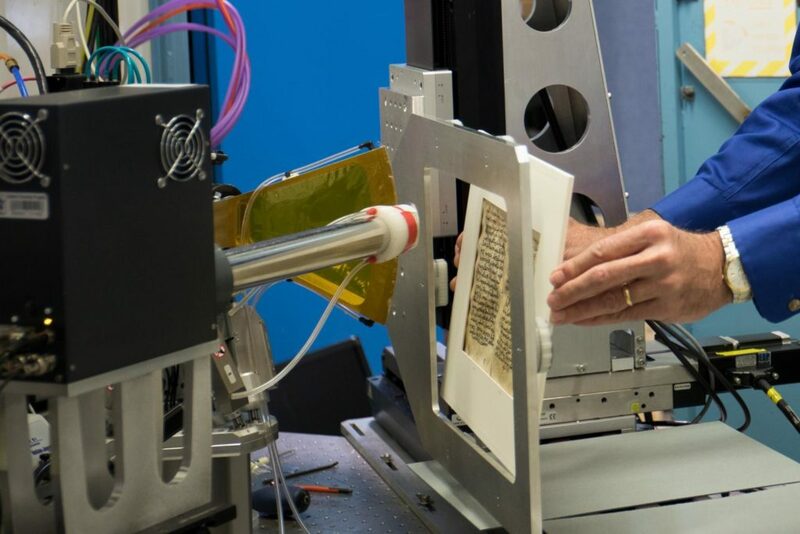 The scientists that are part of the study in California are focusing their efforts on a piece of the parchment where it is believed that text was erased well over a 1,000 years ago with some scientists saying it was erased around the year 500. There is some faint appearance of the text and it is here where the SSRL and the light beam that it protrudes is used in order to read the ancient text. The scientists involved in the experiment stated that over the weekend that they plan to have scanned a very good and important part of the 26 pages of the ancient manuscript. They stated that each page takes about 10 hours to scan. Front and back means that the manuscript was one that had 226 pages to it. The language and the words that the manuscript is written in is an ancient form of Aramaic which is called Syriac. The vast majority of the work was written in the 11th Century and was that of religious nature. The part of the text that looks as if it has been erased is what scientists are saying is part of a medical treatise. The scientists have stated they believe that the ancient text was written at the Saint Catherine’s Monastery which is located on the Sinai Peninsula in Egypt.